The Lost Pines District “tabled” any action on Judge Carson Campbell’s ruling earlier in January. We did not want the District to appeal the Judge’s ruling in favor of four landowners, but we did not want the District to create a vacuum either. The District’s failure to move forward with a hearing in adherence to the judge’s order has left uncertainty in the District’s position, creating an opportunity for End Op to continue the litigation for now through an appeal. As such, yesterday End Op acted on that opening and filed an appeal of the Judge’s Final Judgement in the Court of Appeals for the Third District of Texas (Austin). The District should respect the judge’s ruling and expeditiously grant a hearing to Landowners (Plaintiffs), thereby putting an end to the District’s enabling of End Op’s recent appeal. Sitting-on-their-hand makes the District complicit in the appeal that End Op has now filed. To clearly move in adherence to Judge Campbell’s ruling, the District needs to take two affirmative public actions: 1) immediately direct their attorneys not to appeal, and 2) affirmatively granting a hearing on the End Op permit application that includes the Landowners as parties. Bastrop and Lee county landowners are encouraged to immediately contact the Lost Pines Groundwater Conservation District and strongly urge that the Board take immediate action to put an end to the District’s enabling of End Op’s recent appeal. Write a short email message to the District’s Board of Directors reflecting your desire that the District IMMEDIATELY GRANT A HEARING TO LANDOWNERS (Plaintiffs) in the End OP dispute. 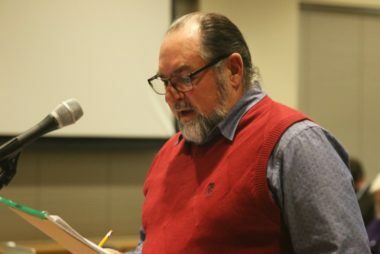 Call the District’s General Manager James Totten and urge that the District IMMEDIATELY GRANT A HEARING TO LANDOWNERS (Plaintiffs) in the End OP dispute.